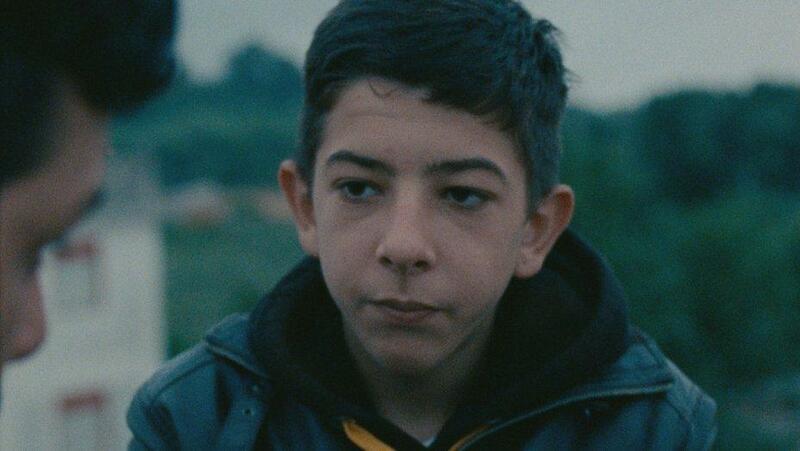 What it's about: Pio is young boy that lives in the eclectic Romani community in Calabria, southern Italy. His family makes a living from small time crime, stealing cars and electronics and selling them to African immigrants. Pio idolizes his older brother, constantly following him around and desperately wants be part of the family business. He gets the chance when his father and brother are arrested, but no matter how much Pio thinks he is an adult, the criminal life proves to be difficult. And when his brother returns, Pio decides he needs to step up his contributions, putting himself in greater danger. Given the Italian community and young protagonist, A Ciambra is clearly inspired by the Italian neo-realism films of the 50s and 60s. And there are some notable similarities: the compression between youth and adult drama, lower class struggles with money and the morality of crime, a cast of amateur actors playing out of their real-life environment. A Ciambra's style, however, is completely modern: handheld camera, bleak tone, complicated politics from a global perspective. The most appealing aspect of the film is how it depicts the stratification of society. The Romani people [colloquially, and slightly problematic, known as "Gypsies"] aren't typically the focus of a film and A Ciambra does well at showcasing some aspects of their culture -- of course, setting them in a criminal context may be a bit stereotypical. The social structure of the family is shown through the status of Pio's grandmother, who serves as the head of the family even if she doesn't contribute economically. She is a strong center and her relationship with Pio is a mix of caring and controlling. Pio's family are clearly below the Italian citizens on the social ladder. They are often targeted by the police -- in one scene Pio's grandmother pleads why the police always show up to their house first when they are looking for someone to arrest. And still, they are clearly above the large African immigrant community in the area. Around dinner, the Romani family talks about the Africans in typical racist ways, that they are dirty and ugly and criminals. Because of his age and social status, Pio is able to easily travel between the social strata, making him a good guide to this diverse community. At times, A Ciambra has to overcome him being just a cipher to make the narrative more seamless, though Pio is probably more comfortable within the immigrant community, which treats him more like an adult than his own family. This is an interesting take on the boy stepping up to provide for his family narrative in that it is wholly Pio's desire -- it might be a necessary risk, but his major conflict is his family rather than the police or other social structures. A Ciambra is a stealthy sequel to director Jonas Carpignano's previous film Mediterranea, connected by Koudous Seihon's character Ayiva. In Mediterranea, Ayiva is the major focus in a story about the difficult transition from Africa to Italy. In A Ciambra, he is an ancillary character, something of a mentor to Pio as the boy lives within the immigrant community. Though A Ciambra is a sprawling drama and look at a vibrant community, it pales in comparison to the striking Mediterranea, a story with much more heart and genuine human interest. Especially considering the global political climate, Mediterranea simply has more to say. Pio isn't as distinct or compelling a central character as Ayiva, even as the latter's appearance spices up A Ciambra. The coming-of-age narrative is well handled, but his story has far fewer dramatic stakes. On its own, A Ciambra is a solid film from a rising director with a unique perspective. It is at its best when it is world building, exploring a community that the filmmaker clearly cares about more than society, and his warts-and-all narrative has a docu-style realism. Otherwise, as a traditional story it goes on for too long -- the more winding elements of A Ciambra will be what I end up remembering.